If the polls are to be believed, immigration is set to be one of the key topics of this May’s election and it looks as if the Poles, as one of the largest EU-migrant communities, will figure heavily in that debate. Already, last November, Mark Reckliss, the newly elected MP for Rochester, was asked his opinion on whether a Polish plumber would be allowed to stay in this country should we leave the EU – and became tangled up in his own response. 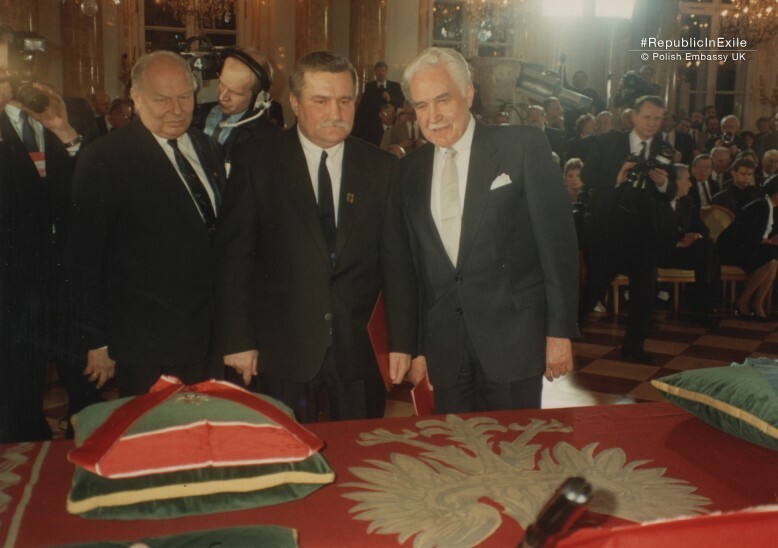 So maybe it’s timely to reflect that it is 75 years this year since the Polish government in exile moved to London from Angers following the Nazi occupation of France, and 25 years since it handed back its regalia and constitution to Lech Walesa, the newly elected president of a newly democratic Poland. 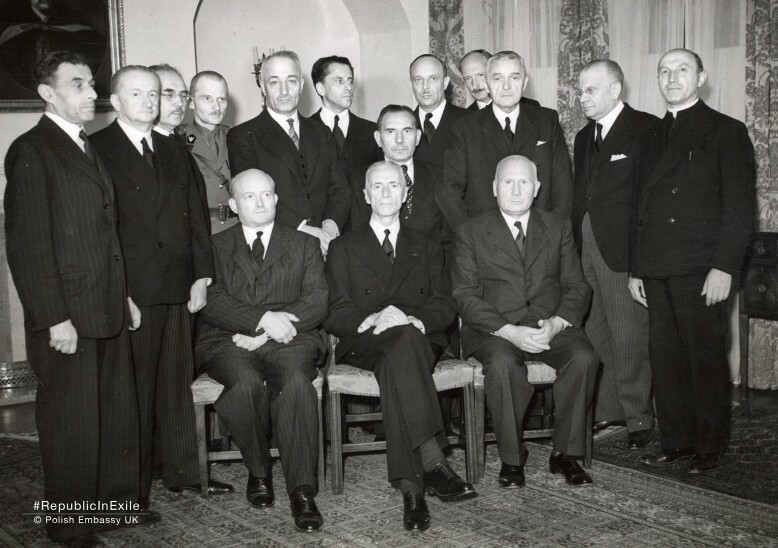 The story of the government in exile is one that is little known in this country, but also one that few people in Poland were aware of in the Soviet era (for obvious reasons) and one that few of the Poles who arrived in this country after the new EU accession rules are familiar with either. Republic in Exile/Rzeczpospolita Londyńska, five videos commissioned by the Polish Embassy and recently completed by Agnieszka Chmura, does much to dispel that ignorance, interspersing photographs and film of the period with interviews with some of the people who lived through it. Last month saw the launch of these videos at a special screening at the Polish Hearth Club, which had been the significant meeting point for the Polish community in exile once the Polish Embassy itself had been occupied, after the war, by the representatives of the People’s Republic of Poland. The Poles were an active and influential force in the allied resistance to Hitler’s Germany: 14,000 of them served in the Royal Air Force, and to dramatic effect in the Battle of Britain; their soldiers and sailors served equally creditably in the allied army and navy; they played a decisive role in the breaking of the Enigma code; and they were among the first to alert the Allies to the Nazi plan to exterminate the Jews (despite a reputation for anti-semitism that didn’t always show them in a glorious light). But the Poland that they had left no longer existed – at the beginning of the war carved into two by Germany on the one side and the USSR on the other, and then at the end by the further political redrawing of boundaries; and the country that has re-appeared since the dismemberment of the Warsaw Pact in 1989 is different again from the one that they, or their parents, left in the 1940s. One of the many tragic aspects of this story is the determination with which Polish exiles kept alive the ideal of a Poland that bore increasingly scant resemblance to the reality of the country. 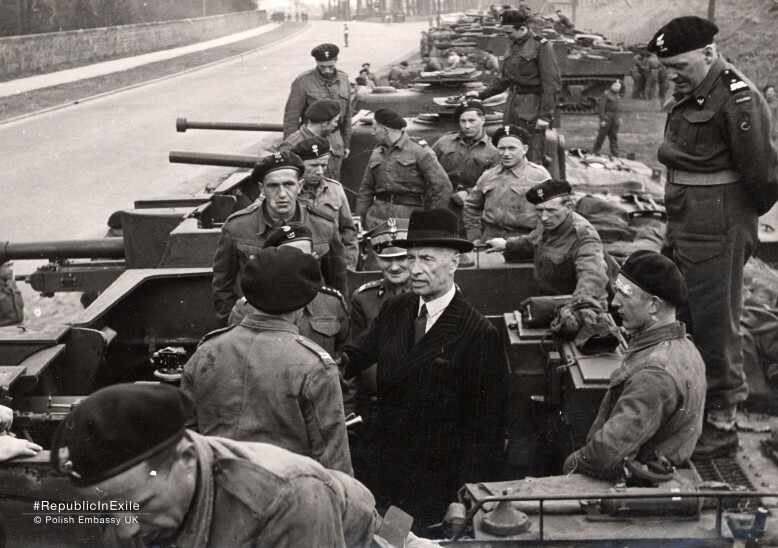 With the end of the war, the Polish government in exile became something of an embarrassment, ‘Realpolitik’ making it more important for the British government to appease one ally, the Soviet Union, than to reward the other. With good reason to feel betrayed by the Allies they had so bravely supported, the vast majority of the Poles in this country (120,000 out of 160,000) nevertheless opted to remain here and accept naturalisation. 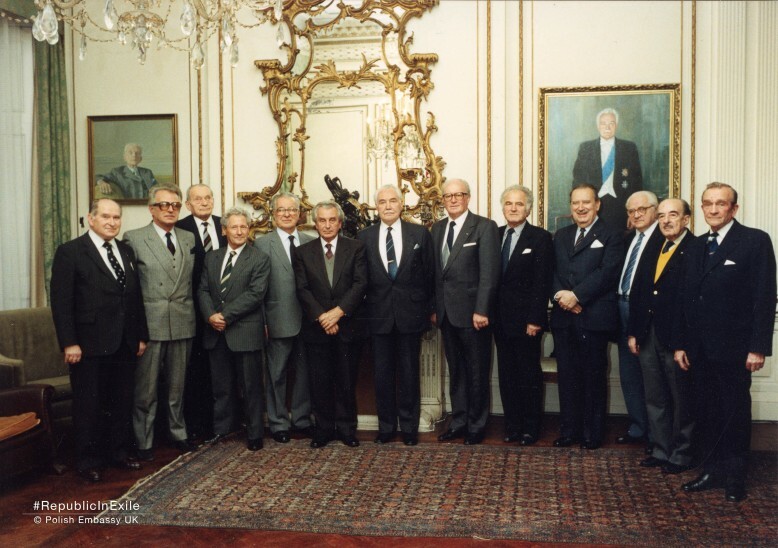 And their government, though facing what looked to be a permanent exile, continued to meet every fortnight as a president and cabinet of eight members, and still commanded the respect of the large population of Polish war veterans and their descendants – nine people holding down a range of ordinary jobs in the daytime (in most cases without their workmates being aware of their other lives) and reconvening in the evenings as heads of state in waiting and ministers with the various offices of government. 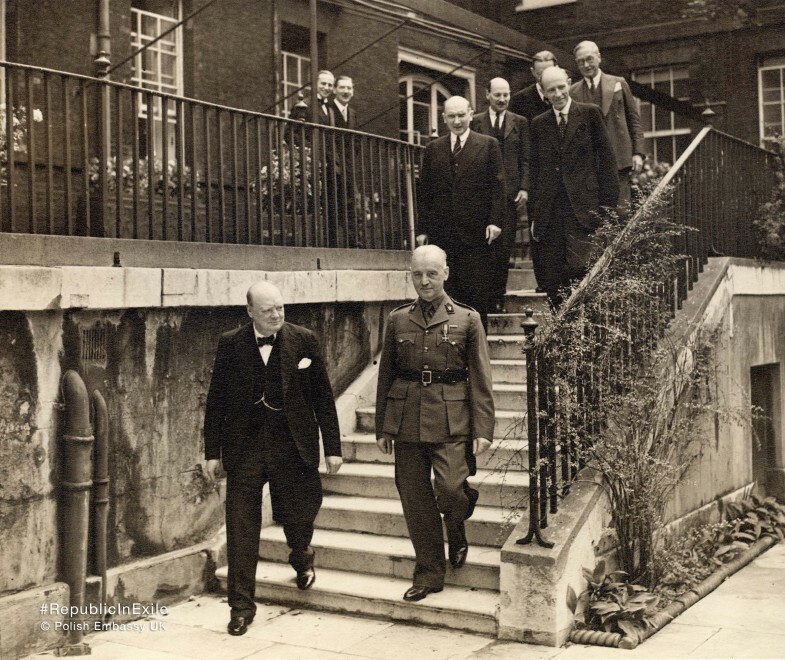 The British government, meanwhile, no longer officially recognised the government in exile but routinely sought its opinion and advice unofficially. And, in a similar way, the government in exile had no official involvement in any movement or organisation in Warsaw-Pact Poland, but unofficially provided support and materials, especially when the independent trade union Solidarity rose to prominence in 1980. With thanks to Konrad Jagodzinski, public relations specialist at the Embassy of the Republic of Poland, for sourcing the photos in this piece, and giving us permission to use them.